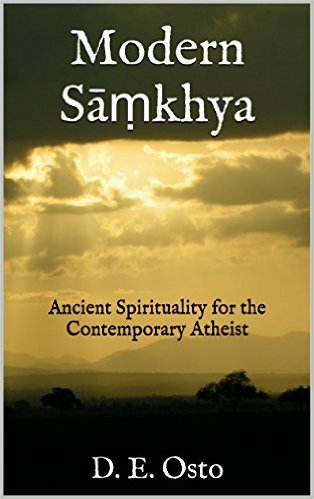 Modern Samkhya: Ancient Spirituality for the Contemporary Atheist. The ancient philosophy of Sāṃkhya can be applied to modern life in a number of valuable ways. Rather than becoming overly concerned with the metaphysics of the system, Sāṃkhya can be seen as a psychological tool to overcome suffering. Through rigorous philosophical and psychological analysis, a person can learn to detach or disassociate from the psychophysical entity, and realize witness consciousness or what I refer to as the transcendental subject. Buy now on Amazon: ebook or paperback. Want to explore an ancient Indian philosophical tradition and destress all at the same time? Douglas Osto’s short but intriguing book on Sāṃkhya gives you a crash course in this influential philosophical tradition from India’s axial age. The aim of these ancient philosophers was to uncover the true nature of reality while at the same time discover its relationship to consciousness. Using excellent metaphors – the flashlight in the darkened warehouse is a great way to explain our perception of the world – these complex ideas at the heart of Sāṃkhya are made clear. But Osto not only explains the philosophical system of Sāṃkhya, he makes it relevant to modern anxieties and pressures. 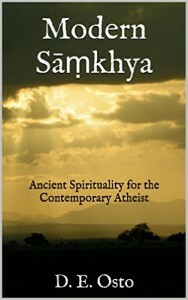 The author shows us through some simple questions … meditations … or simply thought exercises for the non-meditators … that the disconnect between self and world that Sāṃkhya offers is a way to see past the worldly pressures and sorrows and attain an understanding that you are not your pain, you are not your problems, you are not your desires, but an observer caught up in the well … worldliness of the world. This short, easy-to-read book gives you everything you need to begin your practice of mindfulness meditation. Combining his thirty years of meditation and teaching with his own life experience, the author details how to apply the principles of mindfulness to everyday life, overcome negative beliefs, and live a happy and more fulfilling life. The book includes six different mindfulness exercises and links to free audio files for use in guided meditation. To buy the Kindle version, click here. Minding the Black Dog: Overcoming Depression with Mindfulness Meditation. 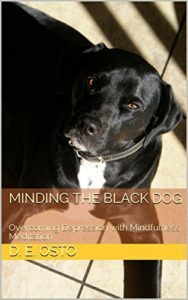 Minding the Black Dog is a short, engaging book about how to use mindfulness to overcome depression. 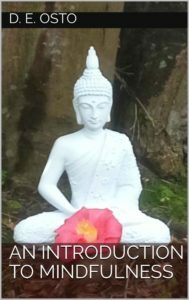 Combining his thirty years of meditation and teaching with his own life experience, the author details in six short chapters how to apply the principles of mindfulness to cope with negative core beliefs and negative emotions from depression. The book includes six different mindfulness exercises and links to free audio files for use in guided meditation. The author concludes with a chapter on how mindfulness can be used to go beyond mental health to achieve one’s goals, fulfilling one’s dreams, and live a rewarding and spiritual life. Buy kindle version on Amazon click here. For paperback click here.